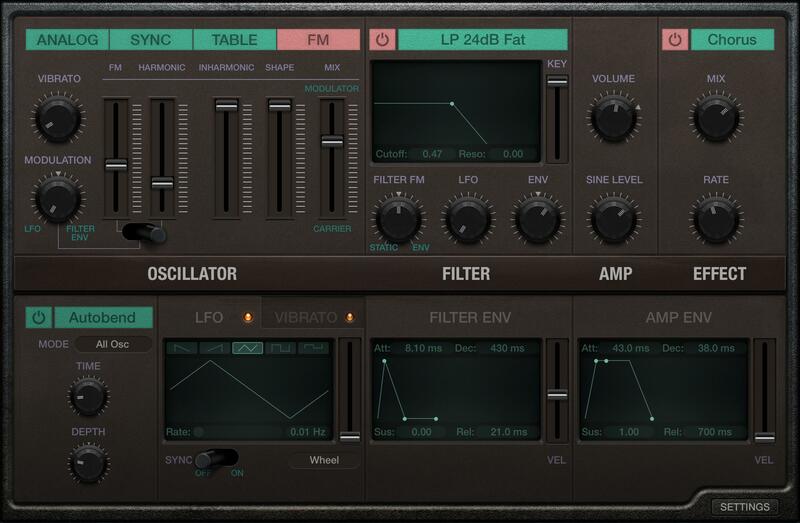 In MainStage there are two basic instrument VST types: synthesizers and samplers. Unlike sample-based instruments, synthesizers are (as a rule of thumb) not as RAM intensive, because they aren’t storing actually audio files, just little programs for producing and processing the wave. Sampler instruments, in contrast, are based on playing back “samples” of an instrument. A sample is really a short recording. For example, a good sampled piano instrument will have little short recordings of every note on a piano, at various intensities, with the pedal on or off, etc. Now, audio files are pretty “big” in terms of storage space on your computer. If your sampled piano has 88 notes, recorded at 3 intensities with the sustain pedal pressed and not pressed that’s a whopping 528 audio files! When you load that instrument into MainStage the only way your computer can play those audio files as quickly as you can mash the keys on your digital piano is by loading them into it’s short-term memory: RAM. Keep this in mind when you’re building that next set of patches. Okay, now you have a bit of an idea how MainStage is using up your computer’s RAM and CPU when you’re playing. How can we use this information to our advantage? You all set up your MainStage concert differently, but I’m guessing many of you have concert-level, or even patch-level instruments you don’t use all the time. Maybe it’s a Rhodes sound you mix in occasionally, or a really verbed-out piano you use for that quiet part. Regardless, it’s important to keep in mind that even though the volume is off, your system resources are still being used by that instrument! Caution Your system resources are still being used for an instrument, even if the output volume is all the way down! 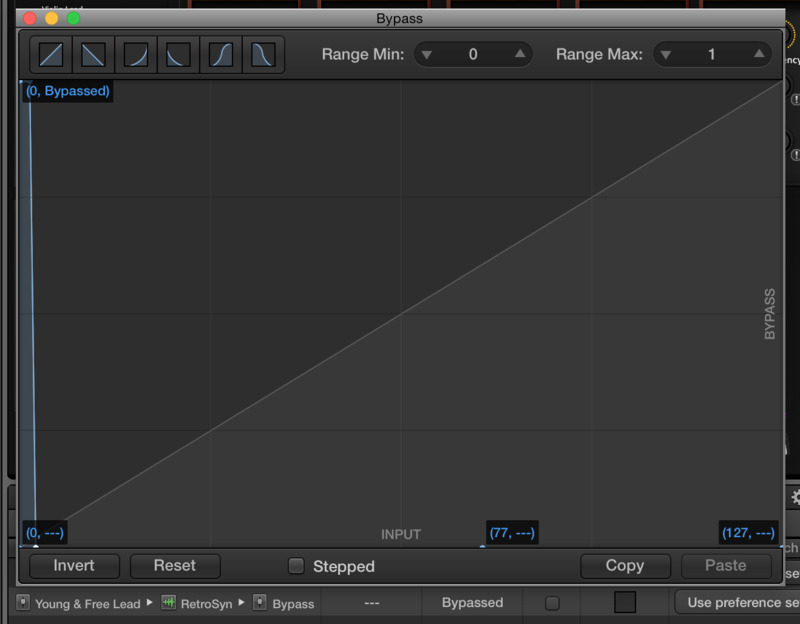 One important thing to remember: when a VST is bypassed, it’s not receiving MIDI! If you have an instrument like a big verby pad or something that you often fade in from zero this technique won’t work properly! That’s because if you play a note with your fader at zero the VST doesn’t receive it, so when you go to fade in your glorious angelic sound there will be a great big horrible nothing! Bypassing unused instruments is especially effective for freeing up CPU which can really help avoid dropouts or sluggish responses from MainStage, but what about freeing up some RAM? 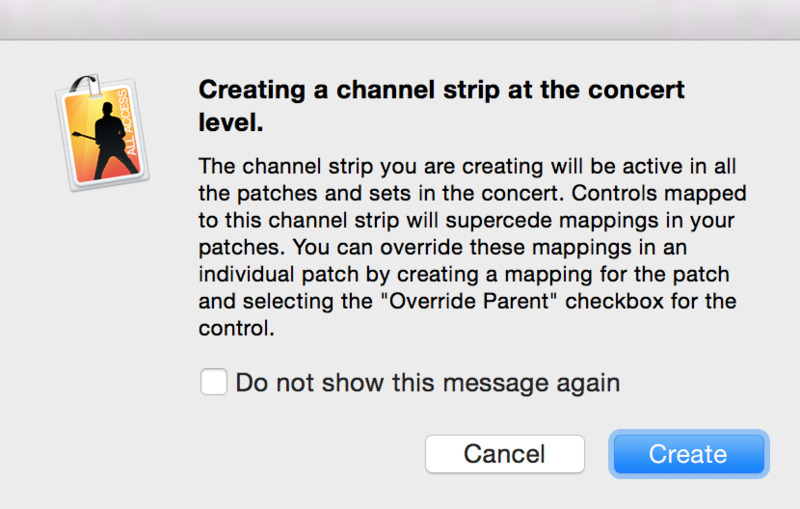 It’s pretty easy to ignore this message and go on your merry way without realizing the implications to concert-level versus patch-level channels in MainStage 3, and there is a very important difference, especially when it comes to MainStage’s RAM utilization. When you create an instrument at the patch level you are creating a stand-alone instance of that instrument. For the sake of this example, let’s pretend it’s the sampled piano we talked about early, and let’s pretend that those samples are 1 MB each. That means that–at minimum–this instrument uses 528 MB of RAM. Now, if you’re just adding that piano to a single patch then no big deal. But let’s say you duplicate that patch and add another instrument. You likely just ate up another 528 MB of RAM, for essentially the same instrument! Now, some VSTs are more intelligent than this and will only load the samples once, but many aren’t that bright. Just creating three additional copies of this patch means we’re eating over 2 GB of RAM for one piano sound! This is where concert-level instruments can save you. When you create an instrument at the concert level it’s available in all your patches, but the instrument isn’t loaded multiple times. Also any tweaks you make to your gorgeous piano will be reflected in each patch. Bonus! There is one other beneficial side-effect to putting your commonly-used instruments at the concert level. When you change patches, MainStage internally bypasses all the VSTs for the patch you are switching from, and un-bypass all the VSTs for the patch you are switching to. Concert-level patches, on the other hand, stay active during the switch. I’ve often had issues switching between patches when I had–for example–the same pad on both patches. Even though the pad was basically identical, MainStage had to bypass the old one and activate the new one, a process that usually meant–at best–a little hiccup in my smooth pad sound and–at worse–are horrible smack of digital distortion and dropouts right in the middle of a quiet transition. Yuck! Tip Put commonly used instruments at the concert level. It’ll save you loads of RAM and make your patch transitions smoother! So, when do I use patch-level instruments? Good question at this point would be: “why not just use the bypass mapping technique and stick all my instruments in a single patch?” While this could work in theory, in practice it’s really clunky. The value of patches is they store more information than just what instruments are available. They also store parameter information for each patch-level instrument, like the reverb level or the LFO rate or the overall tempo. This can help you fine-tune your lead sound for each song and make it super easy to recall, without you having to re-configure each parameter every time you switch songs. Now, this is pretty much completely unrelated to MainStage, but disconnecting your computer from the internet is really important if you run your system anywhere near the edge. If your computer has internet access it can be very unpredictable. It might decide it’s time to update your favourite instant messaging App or sync your Google Drive or Dropbox. 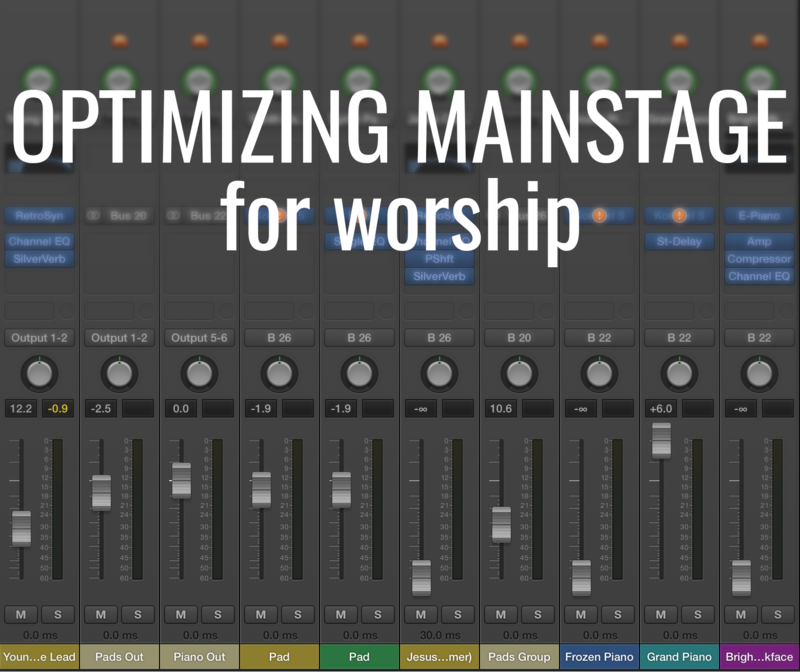 These processes can actually take up significant CPU, so if you are already close to the edge this could be the reason you’re having unreproducible pops and dropouts during your set. Try disabling your WiFi and unplugging your Ethernet connection during your next set to see if it helps. Surprisingly, MainStage can run really well on a pretty limited system. Our main synth computer is a MacBook from 3 years ago that only has 8 GB of RAM. Since implementing some of the tips I’ve mentioned here this system is solid as a rock. We have 6 concert-level instruments and usually 2 or 3 patch-specific instruments and we’re using 8 separate outputs over Dante and the thing works beautifully!